UK company Specialist Marine Consultants (SMC) have completed a full inspection of Seajacks’ self-propelled jack-up vessel, Zaratan, ahead of her deployment to Taiwan in the coming weeks. Both SMC and Seajacks have a keen interest in Taiwan’s offshore wind market. 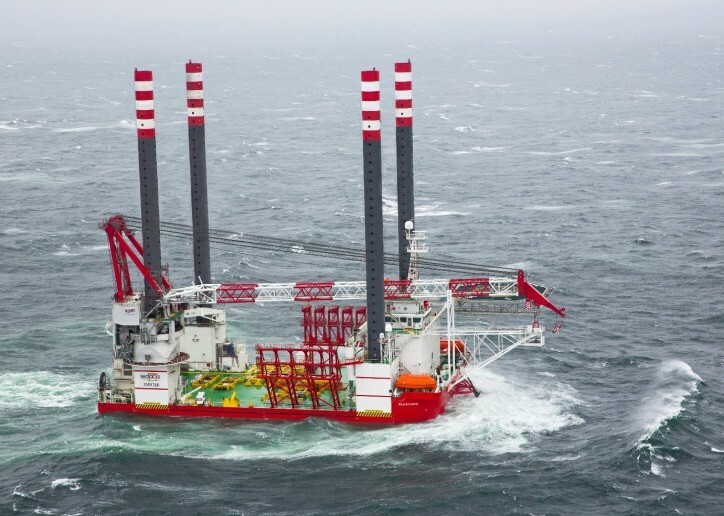 SMC are already delivering a range of services to the region and Seajacks’ Zaratan will be utilised as an installation vessel in the coming months for construction of Taiwan’s first commercial offshore windfarm, Formosa I (phase 2). Zaratan was designed specifically to support wind farm installation projects and has now been inspected by SMC on three separate occasions, in addition to hosting SMC’s offshore construction personnel during development of the world’s furthest offshore windfarm, Veja Mate Offshore Project. With an 800T capacity crane and 2,000m² deck space, Zaratan has succeeded in establishing itself as the leading candidate to support Taiwan’s flagship commercial offshore windfarm. SMC have now provided over 2000 vessel inspections globally, several of which have been delivered across the Seajacks fleet over the past decade. SMC’s catalogue of experience in providing vessel inspection and marine consultancy services to the offshore industry has allowed for strong growth in Taiwan, with the company currently supporting a number of projects in the region. SMC Managing Director, Capt. Ian Coates, completed this latest inspection and stated, “the Zaratan is a vessel with which we are extremely familiar, and it is a pleasure to continue to work with our long-standing client, Seajacks. We will be keeping a close eye on the vessel’s activities in Taiwan as we anticipate further successes for her in the region in the coming years”.